What does the future entail for the U.S. Navy? What new technology will alter tomorrow's maritime warfare? How do we quickly deliver new capabilities to the warfighter? These are some of the questions that will be addressed during multiple panels featuring Chief of Naval Research Rear Adm. David J. Hahn, and leadership from the Naval Research Enterprise (NRE), at the Navy League's Global Maritime Exposition Sea-Air-Space, April 9-11, at the Gaylord Convention Center in National Harbor, Maryland. Initially, Hahn on April 10 from 9:30 to 10:15 a.m. will present the NRE leadership team for a discussion on accelerating innovation to be first to field. The NRE includes the Office of Naval Research (ONR), ONR Global and the Naval Research Laboratory (NRL). Each of these entities spearheads efforts to modernize the U.S. Navy and ignite future innovation. "Naval capabilities begin with the NRE," said Hahn. "In this technology-driven era, with new global competition, we must go beyond traditional boundaries, reducing the time it takes to deliver capabilities into the hands of naval warfighters. These will be important discussions at Sea-Air-Space." Hahn will also be on three Sea-Air-Space panels–the first on April 10 from 3:30 to 4:45 p.m., where he will be a featured guest speaker on the importance of "Cross-Domain Integration." On April 11, from 9:15 to 10:45 a.m., Hahn– along with Brig. 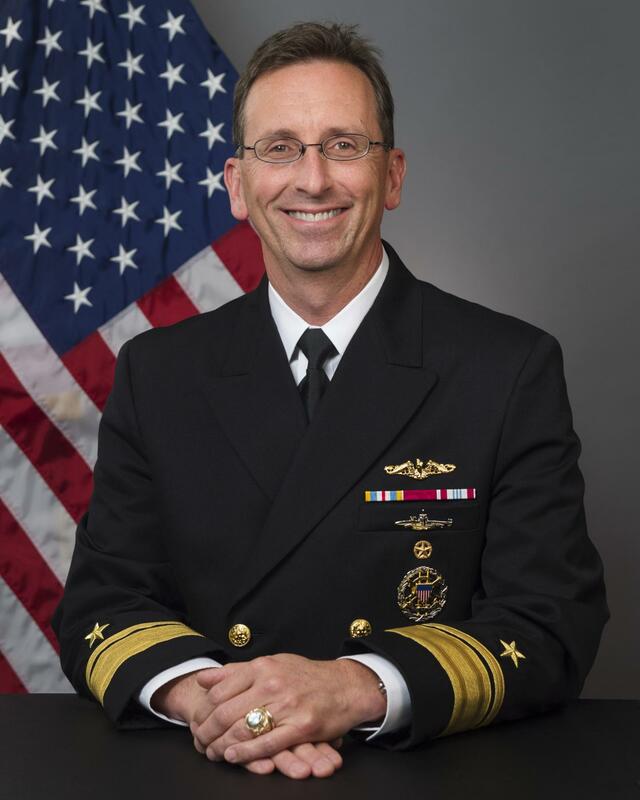 Gen. Christian F. Wortman, vice chief of naval research, and commander, Marine Corps Warfighting Lab– will discuss "Unmanned Autonomous Systems." Also on April 11, Hahn with other leaders will deliver remarks on "Accelerated Acquisition," from 10:45 a.m. to noon. Additionally, the Department of the Navy's Small Business Innovation Research and Small Business Technology Transfer programs (SBIR/STTR) forum will be held concurrently at the Gaylord Convention Center April 9-11. On April 9 from 3:30 to 4:30 p.m., Hahn will be the moderator for a session on "How Small Business and SBIR/STTR Practices Ensure Faster Integration of Innovation." Near the conclusion of each day at the ONR booth, a demonstration of the Man-portable Tactical Autonomous System (MANTAS) unmanned surface vehicle (USV) will be live-streamed from the National Harbor area, showcasing the autonomy suite Control Architecture for Robotic Agent Command and Sensing, or CARACAS. Of particular interest to naval innovators, Dr. Richard Carlin, head of ONR's Sea Warfare and Weapons Department, and Pete Newell, Managing Partner, BMNT, will discuss the Naval Innovation Process Adoption, or NIPA, program they recently launched. Their panel "How the Navy is Learning to Innovate Like a Startup," will occur April 11 from 9:30 to 10:30 a.m.
NIPA is designed to streamline innovation, and swiftly deliver new capabilities to Americas Sailors and Marines. According to the National Defense Strategy, the security environment is affected by rapid technological advancements and the changing character of war. The drive to develop new technologies is relentless, expanding to more actors with lower barriers of entry, and moving at accelerating speed. The NRE mission is to outpace adversaries, and be the first to field decisive capabilities. the U.S. Navy? What new technology will alter tomorrow's maritime warfare? How do we quickly deliver new capabilities to the warfighter?